The Black Sheep Of The Family - Thomas Aldridge Sturley was my 3rd great grandfather and it was his fault that I became involved with researching my family tree. I have always been interested in my roots. My mother told me amazing tales of our family, that we were descended from Irish Kings and Queens, Italian Princesses and Admiral Beatty. I listened to her tales, that sadly I have now forgotten, and promised myself that one day I would research my family tree. Many years later, just as part of a conversation, my mother mentioned that her grandmother had changed her name because her father had killed his brother and that she was a bitter woman because she had been robbed of her inheritance. That was it, I just had to learn more. I had little to go on other than my great grandmothers name, Selina. After many months of research I found Thomas Aldridge Sturley. My 3 x great grandfather and Selina's grandfather (not father) and he had attempted to kill his uncle, Samuel Page, thankfully not succeeding. So the story had some truth in it, just the details had blurred over time. Once I had his name I found so much about him. His attempt at murdering his uncle was in both the local and national newspapers. The reports made him a villain and his uncle a kind and generous man. We shall never really know but I have a soft spot for Thomas. Although everything points to him being the villain I think he was just not a very good businessman or farmer and was always in debt looking for his fortune. Thomas Aldridge Sturley was born on 17th April 1807 in Stibbard, Norfolk. He was the second son of a cabinet maker, Thomas Sharr Sturley. His father was declared bankrupt in 1810, Thomas was only three. In November 1828 banns were read in the parish church in Bawdeswell, Norfolk for the marriage of Thomas, now 21, to Susannah Pitts, 18. They never married and I have not been able to find out why. A month later his aunt (his mother's sister), Sophia Raven, married a wealthy farmer Samuel Page. It turns out that Samuel was uncle to Susannah, the daughter of his sister Frances. Did Samuel object to the marriage? Not a year later in Norwich, on the 21st June 1829 Thomas Aldridge married Mary Ann Leamon. Thomas had started as a small farmer but either through lack of effort or skill this failed. From 1834 to 1841 he tried his hand at being a landlord at the Bell Inn in Bawdeswell, but he failed at this and was declared bankrupt in December 1843. He then went on to be a driver of a coach from Litcham to Norwich, this didn't work out either so he went to London to find his fortune. He couldn't find employment in London so returned to Norfolk and worked as a travelling agent for Mr Youngman, a wine and spirit merchant of Norwich. Throughout this time his uncle had lent him money, which he hadn't paid back, and taken in at least two of his seven children. 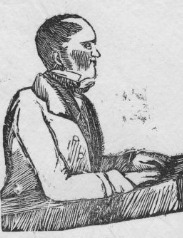 Thomas Aldridge Sturley had an interest in a property that Samuel Page was executor of and he asked for the current occupiers to be removed so he could occupy it himself. Samuel Page refused. Sturley felt he had been robbed of £600 so decided to confront Samuel. On the 19th November 1847 he went to his uncles farm in Cawston and he asked for the money he felt he was owed but Samuel refused and referred him to his solicitors. Sturley pulled out two loaded pistols saying "one is for you and one is for me!" and Shouted "Damn you! Are you prepared to pay me £250? You have only two minutes to live. Are you ready?" but Page refused and Sturley aimed one of the pistols at Page and pulled the trigger. The pistol failed to fire so he fired the second pistol and shot him in the face. Sturley did not try to run or hide he said "Damn you! Now you may hang me or do what you like with me" and he walked off across the fields to the Ratcatchers Inn. "What an infernal old rogue Page has been to my family; he robbed us of £600, and I could bear it no longer. I went there this morning for the purpose of shooting him, and afterwards shooting myself, and should have done so, had not the first pistol misfired"
Thomas was brought before the courts in March 1848. He was confident that he would get just a few years in prison as Samuel Page had recovered from the shooting. The trial took little more than an hour and after the evidence was read the judge put on his black cap and sentenced him to death by hanging. Thomas Aldridge Sturley went as pale as ashes and nearly swooned. The picture above is a Broadside. These were printed and sold for one penny to those who came to watch the hangings. The poem at the bottom would have been written to to be sung along to a familiar tune of the day. Thomas wasn't hanged, he was given a reprieve on 12 April 1848 and his sentence was commuted to transportation for life. 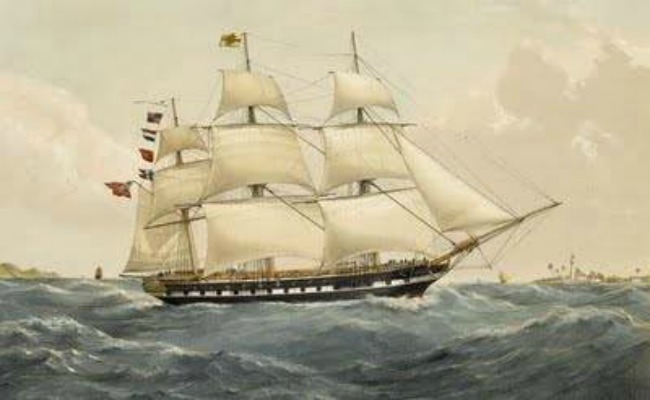 After Norwich Castle he went to Millbank Prison, then to Portland Prison (1850), Defence Hulk at Gosport (May/June 1851), Dartmoor Prison (1851 - 1853) and finally on the Sibella to Gibraltar and the hulk ship Owen Glendower (1853 - 1854). He was finally pardoned and discharged on 25 April 1854, and he returned to Bawdeswell where he died in March 1883, aged 75. 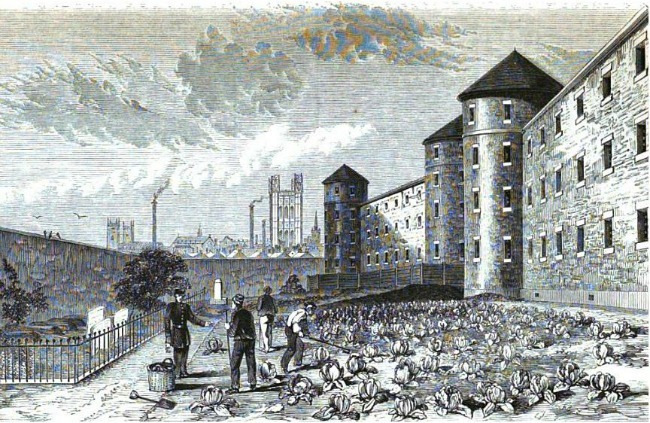 Millbank Prison was sited on the Thames in London where Tate Britain is now. Prisoners were held here for three months prior to being transported. They were kept in isolation and restricted to silence for the first half of their sentence. 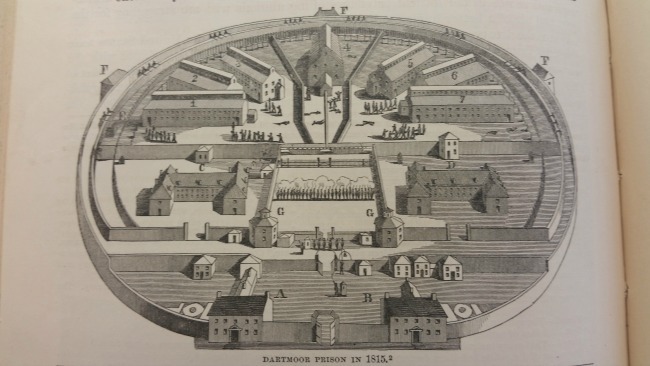 Dartmoor prison was built to hold prisoners of war. In 1809 the first French prisoners arrived and they were joined by American POW in 1812. When the wars finished in 1815 the prisoners were repatriated and the prison lay empty until 1850 when it was rebuilt. It reopened in 1851 as a convict prison. 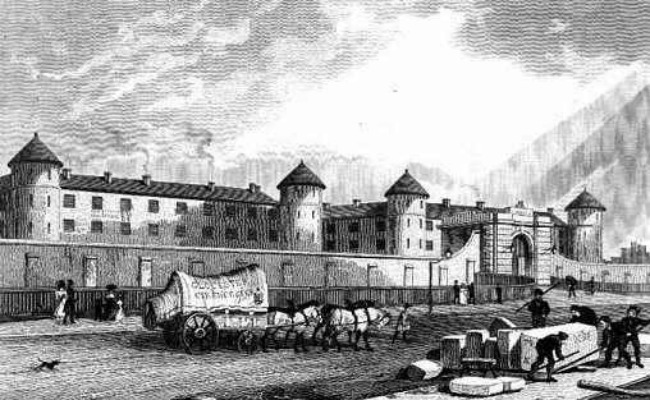 Thomas would have been one of the first convicts to arrive at the newly opened prison. The Owen Glendower sailed to Gibralter with 200 prisoners in 1842. The first prisoners built the dockyard and the breakwater there. I never found any Italian princesses or Irish kings but I did find the Black Sheep, Thomas Aldridge Sturley, my 3 x great grandfather. It was very hard being in prison in the 1850's, he was lucky to survive at all. If the diseases didn't kill you then the hard labour would. I still can't help having a soft spot for him, they do say blood is thicker than water. And my great grandmother Selina? What inheritance did she lose? That is another story full of brick-walls and illegitimacy. Do you have any black sheep in your family? I'd love to hear their story. If you would like to trace your family tree then check out my family tree guides. Just click on the tree below or the Family Tree tab at the top to see a list of published posts. Details of the trial were taken from the above broadside and newspapers at the time including. The Bury and Norwich Post, and East Anglian (Bury Saint Edmunds, England), Wednesday, November 24, 1847; Issue 3413. All images not individually credited are published under the license of public domain via Wikimedia Commons. I LOVE family history and you have a very colourful one. How brilliant to be able to track down so many details. He lived to a good old age too, especially considering his past. I can't believe I share a birthday with him!!!! Image; Thomas Aldridge Sturley, using an early laptop computer. Haha! It really does look like that! 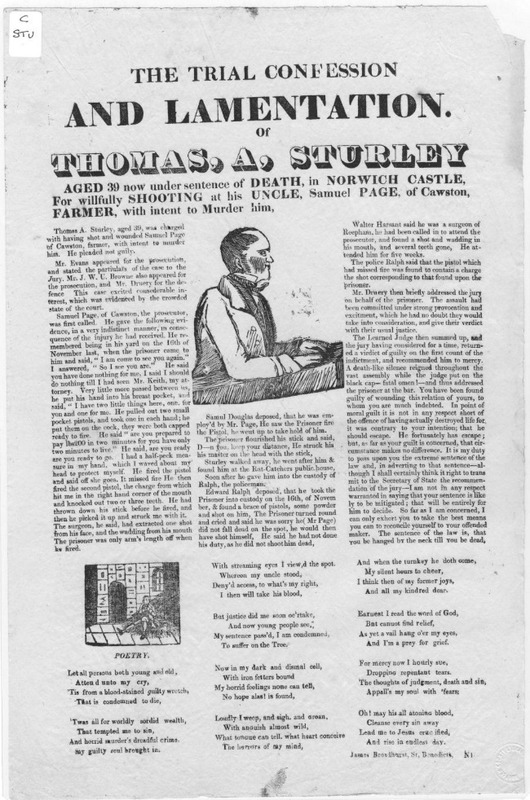 Read your story about Thomas Sturley with great interest. My 2 x great grandfather, Samuel Douglas, worked for Samuel Page and witnessed the shooting. I've read all the press accounts and found the letter of appeal to commute the death sentence. I saw from the prison records that he was supposed to be transported to Van Diemans Land (Tasmania) - did he ever get there or just to Gibraltor? I know he was back home by 1856 as I read a letter from a Norwich Lawyer saying that Sturley was harassing him! 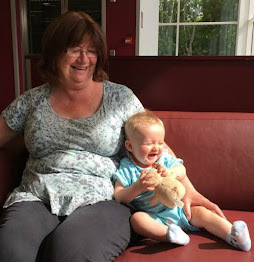 I haven't found any "better" black sheep in my family (as yet!) only minor offences. Thank you so much but they seem to load ok for me. I will check it out though.